KAMPALA – The World Bank has implored the Ugandan government to start teaching pupils in their local languages if it is to improve learning outcomes. 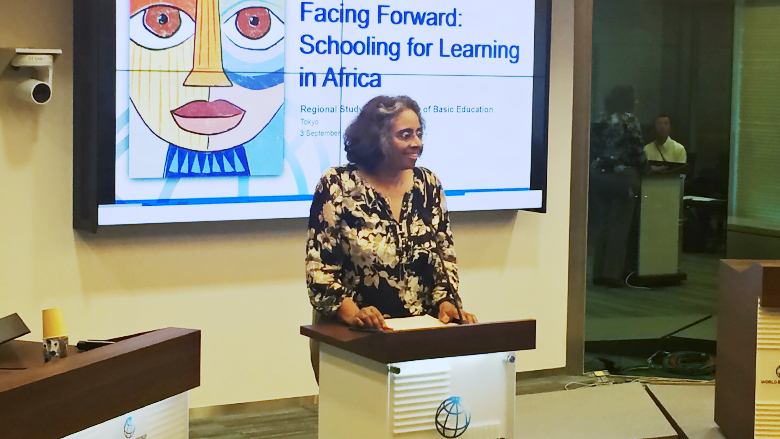 Presenting the report dubbed “Facing Forward: Schooling for learning in Africa” on Monday, World Bank’s education practice manager Sojitha Bashir said that Uganda is among the African countries with low education levels because children do not understand what their instructors teach them. She said countries like Tanzania, Burundi and Ethiopia are performing well because they are have adopted one language which they are teaching their children. “Enrolment alone does not produce knowledge capital. It must prepare many of them to be educated and trained beyond basic education. Sub-Saharan Africa’s knowledge capital remains thin,” Ms Bashir said. But the minister of Education Janet Museveni said the problems have been variously cited in the past and appealed to donors to support Uganda in finding solutions to resolve such challenges. “Uganda was known as the best in the region in education. Most of the leaders were actually educated in Uganda. Unfortunately, in the report now, Uganda is in group two. When we were destroying our country and its systems, our neighbours were working and improving their systems. Uganda needs to run to catch up with the region. I invite our partners who walk with us to have the willingness to run with us to catch up with the world,” she added. Ms Museveni said she has previously discussed with her technical team at the National Curriculum Development Centre on the contribution of primary examinations and that there have been discussions to abolish them to promote continuous assessment. The minister said she used to think that education was taking a lot of the national budget until she was appointed the political head of the ministry only to learn that a big part of the money goes to paying teachers salaries and only 40 per cent is used in the teaching and learning processes.